Spread mixture in ungreased pie plate, 9x1 1/4 inches, or shallow 1-quart casserole. Sprinkle with Cheddar cheese. 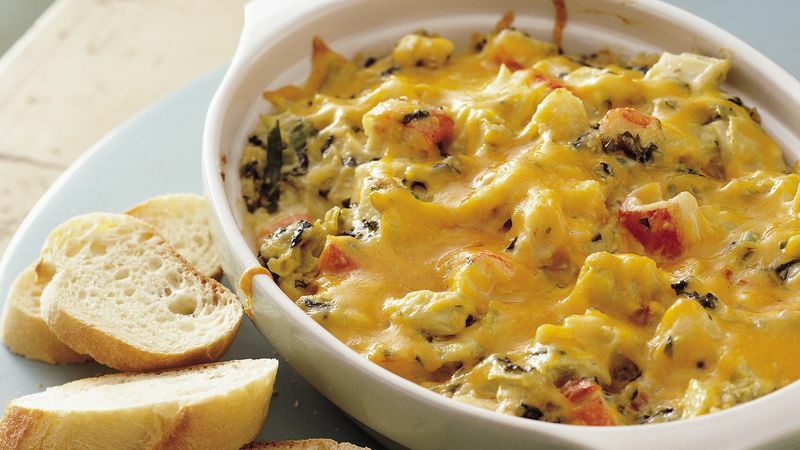 Check to see if your grocer's deli or refrigerated case includes spinach-artichoke dip. If so, purchase 1 pint of that dip instead of the plain spinach dip and omit the can of artichokes.